A weekly digest of events, opinions, and forecasts from United Rail Passenger Alliance, Inc.
1) Ah, summertime! Those lazy, hazy days when America hits the rails and roads. Here’s an enroute firsthand report from a dedicated railfan who had just a bit too much of Amtrak’s hospitality. [Onboard the Empire Builder, east of St. Paul, Minnesota] So, the plot so far ... we are on the eastbound Empire Builder (Train no. 28) which departed Portland Saturday. There was no AC in the deluxe bedrooms (in the sleeping car which we were booked in), so we spent most of our trip in coach. Also, there was no lounge car, as is normally in the train’s consist. Sunday morning, a PA announcement greeted us with "welcome to our nightmare." Someone was having a bad day, already. – To my knowledge, every toilet still works. – It appears we will arrive in Chicago yet today, without a bustitution. In other words, it could have been worse! So, the diner stopped serving coach passengers, but served pretty much a full menu to sleeper passengers. Arrangements were made for free food for coach passengers. Large boxes of Subway sandwiches were loaded on the train at one stop, boxes of other things at another, and for dinner they offered a hot boxed chicken dinner for $9.75 to coach passengers. Breakfast on Sunday was a nightmare because they were handing out a free jumbo muffin and juice to coach passengers – from a table at one end of the diner. Huge line to make it past. They learned their lesson and passed that stuff out themselves after that. Today, we sat in St. Paul for a long time. Maybe two hours? I haven't checked the web site. We have a private car on the train, and they were inserting a coach between the Portland sleeper and the private car at the end of the train. The Head End Power was off for almost all of that two hours, and it got unbearably hot in most of the train. One of the coach attendants (our sleeper attendant was AWOL) said we were supposed to pick up an engine that had been dropped off as bad ordered the day before and take it with us to Chicago, but his suspicion was that the Head End Power wasn't routing through it correctly, because it looked like they were taking it back out of the train’s consist. A family of three was in room A next to us. They were really annoyed about the whole thing. Got on in Portland, no AC, and they claim somebody promised them a room would open up in Spokane (Everybody I talked to said MAYBE that would happen.). The man in the family in A asked me if I knew about getting a refund. I told him to call 800-USA-RAIL, and ask for customer relations (that's what the Portland attendant had told me to do). I said he'd probably get a full refund in the form of a voucher. That really ticked him off more – "What would I ever want to ride Amtrak again for?" I later learned this was pretty much their first train trip, though they had been on the Coast Starlight as part of it, and enjoyed that ... but they were so soured by this experience it became a "never again" moment. I saw his wife run back to the sleepers from the "sleeper seats in coach" crying at one point – just overwhelmed, I guess. They eventually got so fed up with it all that they got off in St. Paul, and I guess were going to find an alternate way to reach Chicago. Paul, our sleeper attendant, had started out incredibly friendly and accommodating Saturday, but turned downright surly by Sunday morning. He didn't lift a finger to help us with anything, and three times walked away while I was talking to him. Also, I happened to be downstairs in the car’s vestibule at one stop when the conductor was boarding people down there, moving the suitcases away, etc. He was incredibly friendly to the passengers getting on, but said "your attendant has missed the last three stops. I'm not sure where he is, but I'm sure he'll be around to introduce himself soon." Read what you will from that. There were some roomettes that were empty until Minot. Paul didn't offer them to us, and when I asked him if we could use them, he said, "No, every room is sold." and stormed off. When I saw him next, I asked where they were sold from, and he agreed we could sit in them until then. He treated the other people in the AC-free rooms the same, from what they told me. Despite all this, they managed to hold a wine tasting in the diner yesterday afternoon. There was an announcement that sleeper passengers that signed up should come over now. Only nobody ever asked us. Paul got on the PA from the diner and said "the 2830 car people should just come now." Oops. In fairness to Paul, I think he was stretched really thin – helping serve food to people in coach, helping with the wine tasting, etc. But he did seem to be incredibly helpful to the people with air conditioning. No idea why he pretty much wrote off those of us without. Anyhow ... Onwards to Chicago. Amtrak is estimating a 5:35 arrival now. Strange things happening in the diner, too. No "enhanced menu" of any sort. And there was usually one and only one call for each meal, and sometimes you were just magically supposed to know when that call was. Crew morale was obviously rock bottom. My wife and I overheard lots of sniping back and forth. Several attendants were mad at one coach attendant who knowingly took fruit loaded on the train for breakfast and handed it all out to the passengers in only her coach before anybody else could get it. The service in the dining car was above average though. And, this is the Empire Builder, supposed to be one of Amtrak's BEST trains? 2) Here’s the big question: Has Amtrak President and CEO Alex Kummant completely lost his way in running the company? So many Amtrak observers had high hopes for his on-the-job performance expectations, but those hopes appear to be dashed on the rocky shores of Amtrak’s continuing business as usual when it comes to passenger service. In both the real world and the Amtrak world (Only the most misguided, ardent rail fan and Amtrak apologist would every presume Amtrak is operated in the real world. ), the public head of a company is supposed to be the guiding light of the company. The reason company CEOs are selected by boards of directors is to provide a vision for a company and to lead the company to achieve that vision. This wretched description of a trip on the Empire Builder in the height of the summer travel season says far too much about far too many things being perpetually wrong at Amtrak. What the above description highlights is a complete lack of managerial oversight of a train crew on the road, plus an ignoble laissez faire attitude that is ruinous for both passengers and employees. There are so many good Amtrak employees trying hard to serve their passengers well. Why is this type of completely unacceptable situation allowed to fester, causing the company both money and future business? You may recall the Empire Builder was to be the grand experiment in running long distance passenger trains (In actuality, the Empire Builder "experience" for passengers is merely a shadow of the normal service we used to provide every trip on the Sunset Limited pre-David Gunn and pre-Alex Kummant.). The Builder was outfitted with nifty rebuilt passenger cars, and the employees were allegedly some of the best in the company. The Empire Builder was the train that was supposed to define Amtrak’s long distance network, and would be the model for all other long distance trains to follow. Oops! What went wrong? Has Amtrak simply given up on the concept of acceptable long distance train service? Or, can Amtrak – which started the Empire Builder grand experiment with pretty high approval marks – sustain any reasonable service levels for any length of time? And, what about the front line mangers of this route? Where are they? Off on their own vacations, leaving their near-helpless passengers to find for themselves? Or, maybe hanging out in a back office, hoping no one will notice them? Back to the real world: What manager on the Empire Builder route needs to lose their job over this? Does anyone at Amtrak understand a) accountability, and b) personal responsibility? U.S. Railroads: Back on Track? Jim Robbins: Will America Wake Up to Rail Travel? More information about the Granite Block in Sugar HGouse. One of the things I dislike about the project is that it would put a parking garage entrance on 2100 South were many people walk. How many pedestrians have almost been hit by idiot drivers who fly out of those parking garage entrances without looking for pedestrians? Plus we know that smaller business will not be able to afford this development and we will end up with more generic chain stores. Of course with retailers hurting in the present economy, what are the prospects for all these new retailers to come in? While this is a Federal problem instead of a local problem, there needs to be something done about how the tax depreciation right off occurs for developments. As I have stated before it encourages new construction that is only designed to last until the depreciation is over with (7 years) then the developer is gone. Now if the tax right off would encourage reuse of older buildings and longer depreciation schedules that don't encourage the build and run, we would start see better and longer lasting developments. While I can see both sides of the issue on the station naming, the big news I like in the new policy is that the stations cannot be named for people living or dead. I think the naming of things after people was really run into the ground by Congressman Barr who wanted to name every place in sight after Ronald Reagan even threating agencies with cutting of funding if they attempted a futile attempt at resistance. Naming stations after people would only confuse new and tourist riders since the names would be nothing. I really have no problem with stations such as Library because it tells you what is at the stop although 200 East 400 South Library Stop basically does the same thing. Image via WikipediaUTA has announced that it is looking to adding another surcharge to transit fares in October. While no one wants to see the increase in fares, we have to face facts that diesel is at an all time high. While some use this to attack TRAX and Front Runner, the true problems are the bus system and the paratransit system. As I have pointed out in the past the paratransit system is an unfunded mandate through the ADA from the federal government that cost us $25 to $35 per rider. Yet the people who use the taxi service feel that they are entitled to pay the same fares or slightly more than bus riders that cost substantially less. Also these vans that often run around the area with either one or at the most a couple of passengers also take fuel to run them so when the cost goes up, it is put on all of us to pay for it. Another issue that is coming back to hurt us is our lack of density outside the Salt Lake area. While some people try to point out that fares are less in a city like San Francisco, we also have to remember they have a much higher density covering a much smaller area. UTA has to cover service from Payson to Brigham city that means you have buses covering a lot of miles and some very weak lines covering that area. We need long term solutions to get more ridership on the buses. Even the increases we currently have are only a drop in the budget to what is really needed to make our bus system less costly. Sadly some people want instant solutions that will only do long term harm. Image by ismasans via FlickrUTA is adding Board members to appease the legislators. I am sure there is one group out there that is celebrating this wonderful day when they let the foxes into the hen house but we shall see if anything really comes of this. Of course there is many dangers to transit service on the horizon presently, not the least of which is the President's attempt to steal transit funds, what is that certain organization doing to prevent this travesty or are they supporting it since it would give more funding to highways which that group supports. Will Transit Funding be Stolen??? Image by Getty Images via DaylifeFor those traveling on I-15 last night, it was a nightmare. A trucked rolled over in Davis County snarling traffic for miles. Apparently many people seeing how bad the tie ups were on I-15 decided to take Front Runner home instead. While the trains may have been overcrowded because of this, at least they didn't have to deal with the traffic tie ups and got home faster. Here is a nice editorial coming from Utah County about taking the bus. Next up is an article about walkable communities and how they can keep the pounds off. Imagine that, if the neighborhood is walkable it means that people are more likely to walk and it keeps the weight off. What a concept is that? On that note Walk Score has come out with a new walk score calculator plus showing the most walkable cities which does not have Salt Lake City in the top 30. The walk score is still of questionable use since it does not have the abilities to know about sidewalks. After all, my in-laws area shows a higher walking score than our apartment despite the fact that it is not safe to walk from my in-laws home to anywhere. Transit ridership is surging because of high gas prices so what is President Bush's answer to the situation? His Secretary of Transportation Mary Peters just reveled a plan to transfer funds from transit to highways. Doesn't that make sense? Funding for transit should be increased now, not taken away to fund more highways. Here is the latest update on West Valley TRAX construction. Construction progress is being made on the West Valley TRAX Line. To keep business and traffic impacts to a minimum, this 5-mile project has been separated into seven construction “reaches,” or segments, for management and planning purposes. The map above shows each construction reach in a different color, starting with Reach 1 in light green on the south end of the project and ending with Reach 7 in dark green on the north end. Currently, construction is taking place in reaches 1, 2, 3, 4, 6 and 7. A description of what is happening in each reach is listed below. If you need further construction information, please call our toll-free 24-hour hotline at (800) 888-8854. Reach 1 is the area along Constitution Boulevard (2700 South) from West Valley City Hall at 3600 South, extending north to 3100 South. 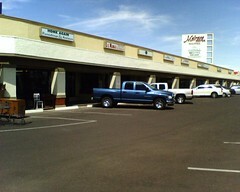 This area includes both large and small businesses, as well as many residents. Access to all business and residences will be maintained throughout construction. Preliminary off-road construction is taking place Reach 1 as crews prepare to remove a property located at 2841 West Lehman Avenue near West Valley City Hall. This property is one of a few in this area that must be removed to make room for the West Valley Line TRAX Line. Current impacts to motorists should be minimal at this time. As construction proceeds, we will personally visit with residents and businesses in this area to keep them informed. Reach 2 is the area along 3100 South from Constitution Boulevard to Decker Lake Drive. The E Center and a few other businesses are located in this reach, as well as residents on either side of 3100 South. Access will be maintained throughout construction in this reach and we will work with The E Center to coordinate our efforts so you can continue to visit the great events they have to offer. When TRAX is completed along 3100 South, it will operate on the south side of the roadway. Off-road construction is continuing to take place along the south side of 3100 South just east of Constitution Boulevard. Crews are preparing to tear down 7 vacant homes along the south side of 3100 South to make room for TRAX construction. Current impacts to motorists should be minimal in this reach. Reach 3 is the area along Decker Lake Drive from 3100 South to 2770 South and on 2770 South running east to Redwood Road. This area includes many commercial office buildings with thousands of employees who access this area each and every day. We will continually work with these businesses to ensure access is provided at all times. TRAX construction is currently taking place on Decker Lake Drive. One lane of traffic is operational in each direction on Decker Lake Drive at all times and access to businesses is maintained. Please be mindful of workers in this area and obey posted speed limits. Crews in this area continue to install sewer lines and other utilities on the west side of Decker Lake Drive. As crews complete the preliminary utility work on the west side of the street, they will then switch to the east side of Decker Lake Drive and redirect traffic to the west side of the street. This utility work will continue through the next several months. Reach 4 runs through the Chesterfield residential area along 2770 South and proceeds along the Decker Lake Canal and the Crosstowne Trail. We will work with residents in this area to ensure a safe working environment that provides access to their properties throughout construction. TRAX construction is currently taking place along the Decker Lake Canal in Reach 4. Construction in this area is taking place on the east side of Redwood Road as crews continue to clear the way for TRAX on the north side of the Brighton Canal and along the Decker Lake Canal. Construction is also taking place just east of Redwood Road at 2770 South along the Crosstowne Trail. Crews are working with residents in this area to install temporary fences and remove any structures located in the right-of-way. Power poles are also being relocated in this area. Close coordination with residents in this area will continue to take place. Reach 5 will include construction along Winton Street in the Chesterfield industrial area. This reach will include one bridge structure over the Jordan River and another over 900 West. Currently, construction is not taking place in this reach. Reach 6 runs through the Union Pacific Railroad’s Roper Yard area. Although there are no businesses and residents in this reach, extensive coordination will take place with the Union Pacific Railroad to ensure that freight deliveries and other train travel will be maintained. Reach 6 will include an extensive bridging system that will enable TRAX to operate above ground, over other train traffic in this area. Construction crews continue to pothole and install utilities in this reach. Reach 7 is the area where the West Valley Line will connect with the current North/South TRAX Line. Construction in this reach will take place along Andy Avenue in South Salt Lake. Crews will closely coordinate activities with businesses in this reach to ensure access is maintained at all times. Currently crews are removing the old rails along Andy Avenue from the current North/South TRAX Line and just past 600 West. This coming week, crews will begin to take out the rail that extends through the roadways at 600 West and 400 West. Flaggers will direct traffic from two lanes to one while this work is being completed. We will meet personally with businesses in this area to alert them of this work and to help minimize potential impacts. Construction on the project is permitted to take place between 7 a.m. and 7 p.m. Monday through Saturday each week. Additionally, specific activities may require different working hours depending upon the conditions and will be coordinated with city officials. If you are interested in learning more about the construction project please call our toll-free 24-hour hotline at (800) 888-8854. · Timely and helpful information is available to assist business and residential communities as well as commuters and stakeholders. If you have further questions not answered by this report or any comments or issues regarding the project please contact toll-free 24-hour hotline at (800) 888-8854 or e-mail csaley@rideuta.com or thope@rideuta.com. More people are discovering the transit does offer an alternative to the car here in Utah. People try to compare the time it takes by car to transit but as the article points out, there is advantages to being on a transit vehicle. Remember there is some misguided people out there that actually want our state legislatures to control transit funds. Next up is a blog entry from the Orphan Road in Seattle talking about Bus Rapid Transit. In this case is it really cheaper and quicker to build? Next up is from the Intermodality Blog which is out of Houston. There is plans to build a new highway but what are the real reasons for it being built? Sadly the blogger from the Capricious Commuter is no longer blogging but here was one of this final post that was very interesting. Next comes an article from Transit Miami about how a group of NIMBY's is opposing a bike trail. The author does a great job showing how misplaced fears by NIMBY's can cause heartache for a project. The writer must be talking about the new Frontlines offices across the tracks from the Intermodal Hub. I have never been in the offices so I have no idea of what they have done. However, if UTA did use existing facilities they should be applauding for not doing any extensive refurbishing. The building should eventually be replaced by an extension of the Intermodal Hub as the area starts to grow. This is another letter to the editor and talks about the MAX service. The guy gives an A for buses that are state of the art but as I noted there is plenty of issues with these buses and this guy will probably learn they are not that wonderful in the long run. He also gives the service a bad mark because the light system doesn't always work. On my trip they never worked but I did want to use that against the service since I wasn't sure if it was the actual system, lack of training or the fact that the system isn't 100% operational. Overall I think this guy gives a fair assessment of the service. West Valley was able obtain more funding for its transit center at the Valley Fair Mall (or is it now going to be The Shops at Valley Center or some name like that?). Image via WikipediaHere is another Perils for Pedestrian Video. First they talk to the head of the Rails To Trails Conservation. While the Rails to Trails sounded like a good idea at one point, the whole point of railbanking was to make the rights of way available to the railroads when they needed them. However, the organization and the trail users have fought every attempt to put rails back down even if a trail was also included. This includes the fight against the badly needed Purple line in Washington DC, the restoration of rail freight service on a line in Washington State, and the NIMBY attitude in Draper. Another one of the interviews really caught my eye. It is a guy here in Salt Lake City that got rid of his car and uses his bike primarily and public transportation. Unlike many bicycle advocates that blame everything on the automobile (there is plenty of blame there) , this guy admits that bicyclist create problems by not obeying traffic laws. You also never hear this from the die hard bicycles advocates so it is a nice change. This is an interesting post from the Baltimore InnerSpace blog. There is great information about how an area developed, was split up, and how bad development decisions in past years created a situation today. Image by Daniel Greene via FlickrHere is some articles from today's Deseret News that deals with development and shopping centers in Layton. Councilman Renny Knowlton said he's noticed that single home development has slowed down a lot recently. No kidding? This guy is a smart one. The town homes approved on Gentile are within walking distance of the Front Runner station, and although not true transit oriented development it can be considered part of the Front Runner station area as the picture shows. Shows that Layton is having some Sandy envy. It has to have all the coolest stores and restaurants despite the infrastructure nightmare they create. Hill Field Road is already a traffic nightmare and more stores along the corridor will only worsen the problem. Will these new chain stores bring in enough sales tax revenue to overcome the infrastructure problems that already exist much less would be created? Of course not. Once again, we have developers looking to develop a property that they can depreciate over 7 years and show losses on making big bucks but could care less what happens to the area around the shopping center once they make their money. Both of the streets are two lane roads. Once again you have to ask, will this center produce enough sales tax dollars to cover the infrastructure cost it creates, not to mention the additional police and fire protection and other city services? Of course the answer to those question is no. It's time for city governments to start looking beyond just the sales tax revenue brought in and look at the actual long term cost of a project including additional services. Cities should be looking for create unique shopping experiences not worrying if they have every chain store on the list. Image via WikipediaHere is an editorial that just appeared in the Salt Lake Tribune. I am sure that it will ruffle a few feathers. I am sure this editorial will get more than a few comments from those who want government out of their lives but won't face the facts that they only got the mortgage on their house because of the government. Image via WikipediaFirst of all, here is the agenda for the July 30th Board of Directors meeting of the UTA. -All I will say is that with the cost of putting BRT in the first place, there is little chance that additional money will be spent to convert it in the future. The El Monte Busway and Harbor Freeway Busway in Los Angeles are both "convertable" to rail, but don't hold your breath. Image via WikipediaPreviously I went over some ideas for future expansions of TRAX and streetcar lines (April 14th and 24th) once the 2015 projects are done. One area I did not go over was Front Runner beyond the Front Runner South line. Once the Front Runner projects are completed and it is running from Payson to Brigham City, there will be little room for expansion. The most likely expansion of Front Runner commuter train service would be from Brigham City to Logan. However, the rail line would be at a disadvantage since the current main line of the Union Pacific travels out of the way to reach Logan. The train could overcome the route disadvantage since there would be few intermediate stops (one to serve the Tremonton area and the other south of Logan so with upgraded tracks the trains could operate at 79mph for extended periods. Beyond an expansion to Logan there is two long term projects to be undertaken. The first is to put in more double track were feasible. There is some bottle necks in the system that will take lots of funds to make this happen including several bridges that would have to be replaced. Secondly, part of the line through Davis and Weber counties is already butting up against homes so land would have to be acquired in some instances. However, as the line grows in importance double tracking will become more critical. Finally, the line should be electrified in the long run. The ultimate solution would be to run EMU's along the route. EMU's can accelerate faster than a locomotive hauled train making the trip even faster than it is now. The downside is that the Federal Railway Administration's policy on rail car buff strength. The current requirements are so high that no off the shelf equipment is legal which means anything used in the United States cost more than any other country in the world. One current problem may actually create a solution to this problem. With Diesel at all time highs, more cities may start looking toward electrifying their commuter railroads. If more cities would jump on the bandwagon and run EMU's, economies would kick in making it less expensive. Front Runner will be the vital regional connector in our transportation future. We have only seen the tip of the iceburg on what it can do. Image via WikipediaThe Weber County Forum has some comments on two recent articles from the Salt Lake Tribune. I have to agree that Ogden should be doing more to promote tourism via the Front Runner line. When I went up to Ogden last week it was to do some photography. I know that there is a brochure about some of the historic structures in the Ogden area but none of them were to be found in a place that rail riders could access them. Here are some brochures that Ogden should make available to Front Runner riders? Ogden has a new marketing opportunity and needs to take advantage of it. Image via WikipediaYesterday, UTA sent out its first construction update on the West Valley TRAX line. UTA sent these out during the construction of the Intermodal extension. This allows those on the mailing list to know where construction is taking place in order to avoid it. It also allows local businesses to know when their area is going to be torn up and how to deal with it. UTA has divided up the line into 7 project areas and is giving updates on what is happening in each section. Construction has officially begun on the West Valley TRAX Line! To keep business and traffic impacts to a minimum, this 5-mile project has been separated into seven construction “reaches,” or segments, for management and planning purposes. The map above shows each construction reach in a different color, starting with Reach 1 in light green on the south end of the project and ending with Reach 7 in dark green on the north end. Currently, construction is taking place in reaches 3, 4, 6 and 7. A description of what is happening in each reach is listed below. If you need further construction information, please call our toll-free 24-hour hotline at (800) 888-8854. Reach 1 is the area along Constitution Boulevard (2700 South) from West Valley City Hall at 3600 South, extending north to 3100 South. This area includes both large and small businesses, as well as many residents. When construction begins in this area, access to all business and residences will be maintained. Currently TRAX construction is not taking place in this reach. Preliminary off-road construction is currently taking place along the south side of 3100 South just east of Constitution Boulevard. Crews are preparing to tear down 7 vacant homes along the south side of 3100 South to make room for TRAX construction. Current impacts to motorists should be minimal in this reach. Construction crews continue to expose or “pothole” utilities under Decker Lake Drive to determine exact locations before major construction begins in this area. Crews are also installing sewer line in this reach. This utility work will continue through the next several months. TRAX construction is currently taking place along the Decker Lake Canal in Reach 4. Crews are clearing the area on the north side of the canal to make room for TRAX. Construction is also taking place east of Redwood Road along 2770 South and the Crosstowne Trail. Crews are working with residents in this area to install temporary fences and remove any structures located in the right-of-way. Power poles are also being relocated in this area. Close coordination with residents in this area will continue to take place. Construction crews are currently potholing utilities in this area and installing utility lines. Beginning Monday, July 21, crews will begin removing old track along Andy Avenue between 300 West and the current North/South TRAX Line. Impacts will be minimal at this time because this work is not located in the roadway area. Here is the weekly posting from the United Rail Passenger Alliance. PLEASE NOTE: URPA is experiencing some cosmic hiccups in our computer system’s subscription and distribution program. Therefore, if you have recently cancelled your subscription, or recently added a subscription, you’re not being ignored by the humans on this end, but the computer program is being cranky. We’re working as fast as we can to debug this program. Thanks for your understanding. 1) Thanks to all for an overwhelming positive response to last week’s TWA. Let’s continue on that theme, but this time, with an emphasis on making Congress more aware of Amtrak, and why Congress should take positive control of Amtrak. Let’s first establish a perspective. Whoever is the current tenant in the White House at any one time selects the members of Amtrak’s board of directors. The nominees from the White House (often with the input of powerful members of Congress) are sent to the United States Senate for hearings and confirmation. The Senate Commerce Committee holds nominee hearings, and votes whether or not to send the nominees for a full confirmation vote by the entire Senate. Depending on the whims of various members of the Senate – everyone from Senate leadership down to the most rookie senator – anything can happen to a nominee. As has happened during the past eight years, if any senator doesn’t like any nominee for any reason (perhaps the color of the nominee’s socks are not to the senator’s liking), any senator can place a "hold" on a nominee. As long as the "hold" stays in force, nothing happens. The nominee simply goes into limbo. In some cases, pleasant and productive hearings are held by the Commerce Committee, and a nominee is voted out of committee and sent to the Senate for full confirmation, but someone in the Senate leadership doesn’t like the nominee for whatever reason, and the confirmation is never brought up for a full vote. Again, the nominee simply goes into limbo. Let’s say the rare thing happens, and a nominee makes it through the vetting process, the committee hearings process, and is finally confirmed by the Senate. Oh, boy! We have a new member of the Amtrak Board of Directors. However, it’s a pretty good chance under current law, while the nominee does make it onto the board, they are not qualified to hold a position on the board. You see, there are these pesky legal requirements that all members of Amtrak’s board must meet certain requirements, such as every member of the Amtrak board is required to have transport or corporate/financial management expertise [49 U.S.C. 24302(a)(2)(C)(I)]. The White House, lo these many years, has pretty well ignored this requirement, and continued – with the cheering on of the Senate – nominating all sorts of members to the Amtrak board who have more political connections than professional experience. Since no one legally challenges these shenanigans, the board members stay on the board. In short, for there to be real and effective change at Amtrak, Congress needs to take control of the company, and start mandating change. No change? No funds. It’s that simple. 2) "But," you say to yourself, "Smilin’ Jack is my Congressman, and the only way he can find the House Chamber is because it’s in that big building in Washington with the funny round thing on top. How am I supposed to intelligently talk with him about Amtrak?" Well, you don’t need to talk to Smilin’ Jack. That’s why all members of Congress have staffs, and usually there is a staff member who specializes in transportation issues. There are also excellent staffs for each committee in both the House and Senate, and these fine folks usually are the real experts in what’s going on, especially in matters relating to Amtrak. It’s the staff members you want to target, not directly the sitting members of the House and Senate. 3) Keep in mind, too, how many members of Congress and the Senate have absolutely no interest in Amtrak because it has nothing to do with their state. Senators from Alaska, Hawai’i, South Dakota, and Wyoming represent states without any Amtrak service. On the House side, URPA had determined there are roughly 100 House districts with no Amtrak service, nor any nearby Amtrak service. Add to that figure the House districts where Amtrak only blows through without any station stops, and you can add dozens of more districts. Misanthropic Amtrak supporters often boo and hiss at House members who declare their disdain for Amtrak. Well, these representatives usually have absolutely no stake in the success or failure of Amtrak, and because Amtrak represents approximately the same transportation output as motorcycle riders in the United States, there isn’t a huge rush to embrace Amtrak by these members who often don’t even know what an Amtrak train looks like. Those members who do have Amtrak service in their districts are often underwhelmed by the either one daily train in each direction, or tri-weekly trains in each direction for their cities and towns. Even though Amtrak correctly issues state fact sheets each year to demonstrate how many Amtrak employees are in each state, and how much Amtrak spends in each state, again, it’s usually a drop in the bucket compared to other federal programs. So you say, "But, wait! That’s the problem! There isn’t enough money for Amtrak." You’re wrong, again. There is enough money for Amtrak, but Amtrak isn’t spending it wisely or doesn’t have a good enough business plan to expand its own services using its own resources. 4) Let’s veer sharply to the right for a moment (If you’re a registered Democrat, feel free to veer sharply to the left.). The common misconception, as started by Amtrak and picked up by its various wholly owned lapdog organizations, is it takes hundreds of thousands of dollars to fix up current static rolling stock to put it back on the road. Nope. Let’s say there is a SuperLiner sleeping car currently bad-ordered, and sitting in the weeds somewhere, unloved, and not generating any revenue. Perhaps’s it’s something as simple as an out-of-date required FRA inspection, or maybe a malfunctioning air conditioning system. Just for the purposes of our discussion, Amtrak says it costs $10,000 to put that car back in service, but it doesn’t have $10,000 in the maintenance budget. Oh, really? Let’s break that analysis down a bit further. Presuming we’re talking about an FRA inspection, we’re talking primarily about labor costs, plus some replacement parts costs. Okay, is Amtrak going to hire a mechanical forces worker just to inspect that car? No, Amtrak will use someone already on the payroll – someone already in a budget somewhere. The replacement parts? Probably on an Amtrak maintenance department shelf somewhere, waiting for a chance to be used. Okay, so we have the labor already, and we have the replacement parts already. Isn’t it simply a matter of mating the waiting car, the labor, and the parts? Yes, it is. Now, on someone’s books somewhere, all of this is recorded, and costs assigned, because we would never want to disappoint some bean counter and cause them to have stress headaches. So, costs are assigned and duly recorded. There, the car is completed, ready to be reassigned for service, and ready to create more revenue for the company. "But," you continue to protest, "where is the cost of the replacement parts coming from, since there always has to be something on the shelf for the next broken car." Right you are. Here’s a shocking discovery: The revenue generated by the SuperLiner sleeping car being back in service will probably pay for the replacement parts before that now-moving SuperLiner makes it to its first station stop after leaving its departing terminal. That, in the real world, is how things work. Maintenance departments are not given static numbers carved in stone. Funds are made available as a budget year progresses, as money comes in from earned revenue. In Amtrak’s rather warped world, since it relies hugely on free federal monies each year, whatever paltry money is assigned to national fleet maintenance AFTER the needs of the Northeast Corridor are met, and AFTER the needs of states which are coughing up state monies are met, then the leftovers go to the national mechanical department budget. In other words, money earned by a particular set of equipment isn’t considered when maintenance budgets are set for that equipment. Only priority budgets for the NEC and other corridors are met first, then whatever is left over goes to the real money-making part of the system, the long distance routes and fleets. 5) This brings us back to your favorite member of Congress. You must take the position they know even less than nothing more than Sergeant Shultz knew on Hogan’s Heroes. Anything they are likely to know, they either learned directly from Amtrak (Always a scary thought.) or from the great unwashed American news media, which often doesn’t know a good Amtrak story when it hits them in the keyboard. Of late, many members of the news media have started consulting professors at various colleges and universities which offer transportation programs. Let’s examine that flawed concept for a moment. There are, of course, many good professors at universities, but are often in the minority. University professors dealing in transportation issues, beyond such distinguished programs at the University of Denver’s Intermodel Transportation Institute, and a few other places, generally deal in transportation theories based on liberal concepts, where the movement of warm bodies is more important than financial performance. Most professors think only in terms of local transit – mostly because that’s all they know – and incorrectly attempt to apply local transit concepts to long distance trains or to Amtrak. Usually, whatever comes from these folks is hogwash, as has been demonstrated time and again in recent newspaper articles about the Amtrak "problem" in America, as related to high gasoline prices. The other problem with these professors is they usually come from a culture where airline transportation is considered to be the only viable form of public intercity transportation beyond the personal automobile. These professors would NEVER consider the merits of bus transportation (They have no idea how very successful and comfortable bus transportation is in Canada. ), and any transportation related to small towns – the real heart of America – is usually too insignificant to be on their radar screens. Therefore, Amtrak is mostly a mystery to them, but, since there is no such thing as a professor who doesn’t want to be quoted in the news media as an expert on some subject, they babble something incomprehensible about Amtrak, and the news media, which often knows even less about Amtrak, takes their babbling as gospel. And, again, another pool of bad information about Amtrak comes into the public’s consciousness. 6) So, here we are. Your congressperson doesn’t have good information available to them about Amtrak. They keep hearing, decade after decade, "just give us the money we need, and we’ll be fine!". They keep reading newspaper clips with stories that inevitably begin, "Cash starved Amtrak today ...". They’ve got hundreds of federal programs staring them in the face, begging for funding. And, practically everyday, someone like Senator John Kerry makes a grab for regional money like he did last week, seeking $1 billion to upgrade the NEC into Boston, while huge cities like Houston and Phoenix and Tulsa either have tri-weekly Amtrak service, or no Amtrak service at all. Here’s the bottom line: It’s up to you to educate your representatives in Washington. It’s up to you to give them real facts, and demand something beyond "business as usual" takes place. It’s up to you to force Amtrak into becoming a productive and contributing part of our domestic transportation network. Here are some pointers to begin the education of your representatives. – Remind official Washington of Amtrak’s mission: to create a viable passenger rail transportation system for ALL Americans, not just denizens of the Right and Left Coasts, and those living near Chicago. – Jacksonville Representative Corrine Brown, chairwoman of the House subcommittee for railroads, is trying to make sure Amtrak restores the ever-missing Sunset Limited between New Orleans and Florida. She’s put a provision in an Amtrak bill providing (way too much) money that Amtrak must spend to "study" the restoration of the Sunset and then report to her and others in Congress why the Sunset hasn’t returned. If more representatives took this initiative, it would be difficult for Amtrak to ignore multiple members of Congress, even though Amtrak has successfully achieved that in the past. – Members representing districts with no Amtrak service or only "blow through" Amtrak service need to demand a plan which will provide service to their districts. This does NOT indicate every streak of rust masquerading as a railroad track should have Amtrak service. But, it does indicate there are many huge gaps in the Amtrak system which need to be rationally filled. – Rolling stock maintenance, restoration, and new acquisition is an on-going process in all forms of common carrier transportation, unless you’re Amtrak. Congress needs to implement a procurement system, perhaps through the FRA, that determines equipment needs of all sorts, and makes sure equipment is reasonably in place for ALL of Amtrak’s trains, not just the NEC trains. This system would include the delights and wonders of bootstrap equipment procurement and leasing, where the economic value of operating a car takes into account the acquisition and ongoing maintenance costs, and bases decisions on economic terms, not political terms, such as Amtrak uses today. Amtrak passengers in Denmark, South Carolina deserve a train with rolling stock that is as comfortable as an Acela trainset serving Metropark, New Jersey. – The model for airports used by airlines since Shirley Temple sang "On The Good Ship Lollipop" while dancing down the aisle of a twin prop DC-2 needs to be used by passenger trains. Amtrak owns and operates many trains stations that instead need to be in local government hands and ownership. Scattered through the country, like in Kissimmee, Florida and Hattiesburg, Mississippi, are locally owned stations which are nicer than any other comparable Amtrak-owned stations in the system. If local governments (If they even know Amtrak exists.) want Amtrak service for their city or town, they need to provide the station. Amtrak could lease the ticket counter and set certain safety and continuity standards, but local authorities could own and maintain train stations far better than Amtrak, such as in Tampa, Florida. – Demand Congress force implementation of a better business plan than is used today. Today’s disastrous plan to fleece participating states of money for regional corridor routes does nothing to bolster Amtrak overall, since these programs do not contribute to the overall financial health of Amtrak, but only pay for the specified service. The real financial stability is in Amtrak’s long distance passenger trains (see below), as discussed many times in this space. – Demand Congress pay better attention to the overall infrastructure needs of Amtrak’s host freight railroads throughout the country. There are rail traffic jams out there to be unsnarled, but there are also a multitude of solutions to those problems which clever people can figure out where everyone is a winner, especially the American train passenger. In essence, Congress needs to override the wishes of Amtrak’s Board of Directors, since the Amtrak board continually fails to steer the company in the right direction. Think this is unprecedented for Congress to take control of an entity that is under the direction of the executive branch of government? Think again. Amtrak’s principal stock is held by the United States Secretary of Transportation, on behalf of the American people. Congress, however, is Amtrak’s banker. More than once, for a company in dire financial straits (And, make no mistake, Amtrak is by definition a financially bankrupt company. ), that company’s bankers and lenders have taken control of the company and nursed it back to financial health. This is why Congress needs to exert more fiscal control over Amtrak. Amtrak has proven for decades it is incapable of managing its own finances, nor make prudent business decisions. Amtrak has been enabled in this wretched enterprise by it wholly owned lapdog organizations, which have bleated like sheep year after year Amtrak is a sound organization, and only "needs to be given a chance to succeed." That time has come and gone. Billions of dollars have been thrown at Amtrak with no appreciable results except a corporately handicapped company that is so dysfunctional it can’t even figure out who its best customers are, and where its true future lies. 7) It’s election season, and this year it’s likely to be a healthy turnover in congressional seats, as well as senate seats. That’s okay, new faces in Washington are new opportunities to get to these people and their staffs before the false indoctrination from Amtrak and its vile minions begins. What of a new White House administration, and its stewardship of the Amtrak board? Well, not many vacancies will come up anytime soon; most board members are recent appointees and will be around for another three to four years. Will a new administration be any better at appointing new board members who are legally qualified? If Amtrak’s complete history of the past 37 years proves accurate, some very good board members like Paul Weyrich, Haley Barbour, Ralph Kerchum, Charlie Luna, and David Laney will probably make it onto the board, but, most likely, they will be far outnumbered by the usual political hacks which typically are appointed to the board by both political parties. What about Amtrak’s president and chief executive officer? Alex Kummant has almost completed his second year of stewardship of Amtrak. His own resume says he’s nearing the average length of time he stays in any one job with one company, plus, other than the late Graham Claytor, Mr.
Kummant is also approaching the average length of time any one individual stays on as Amtrak’s president and chief executive officer. What most likely won’t change at Amtrak any time soon, unless a new president and CEO makes a clean sweep, is the executive corps that runs Amtrak on a daily basis. While there are many bright gems to be found, such as Vice President Richard Phelps, there are still far too many failures populating departments like strategic planning, which often make a real difference in prosperous companies. 8) Let’s review. It’s time to stop depending on Amtrak’s Board of Directors for any worthwhile direction for the company. Internally, Amtrak is on a completely wrong track and has no realistic business plan. Congress can – and should – step in and force major changes in the way Amtrak looks at the future, conducts current business, and serves American taxpayers. Only Congress has the clout – and financial pressure – to reform Amtrak and help the company achieve its real potential. Only Congress can force Amtrak to dump its totally wretched current business plan and create a new business plan which focuses on all Americans, not just citizens on the extreme coasts. Only Congress can stand up to Amtrak and say, "No, that’s not the way things are going to be." You can help make this happen by being correctly informed about Amtrak, and passing your knowledge along to the news media on all levels, and members of Congress and their staffs. It’s no wonder so many members of Congress don’t like Amtrak; they have no reason to like or support Amtrak because Amtrak has absolutely no impact on their districts or states. Turn these members of Congress into productive forces of change by letting them know Amtrak can become relevant in their districts and to their voters, but that will never happen if Amtrak is left to its own sordid devices. 9) Below is some information repeated from last week’s TWA which is relevant background as you seek to intelligently discuss Amtrak. More information can be found at URPA’s web site, www.unitedrail.org . There is still a great deal of junk science to overcome when it comes to passenger trains. – First, there is the silly belief Americans don’t want to ride long distance passenger trains. On Sunday, July 13, a columnist in the Knoxville (Tennessee) News Sentinel opined, "who wants to spent three days on a train to travel to California?". Well, actually, a lot of people already do, and many more would if there was any inkling Amtrak was available to all Americans, and there was enough equipment to handle all of the demand if the secret of Amtrak was every unleashed on the American public. – Second, there is Amtrak’s constant promotion of short, regional, and very expensive to operate corridors instead of a healthy focus on high-revenue producing long distance trains. Let’s review the facts, again. 13.61 cents of revenue per passenger mile. On average, the Builder carried 206.7 passengers for every mile it traveled. During that same period of time, Amtrak short corridor Hiawatha service ran an interstate route of 86 miles between Chicago and Milwaukee, Wisconsin with seven daily trains in each direction (six on Sundays). The Hiawathas generated $10,230,000, and 47,619,000 revenue passenger miles carrying 593,300 passengers an average length of trip of 80 miles. The load factor for the Hiawathas was 37.7%, with 21.48 cents of revenue per passenger mile. On average, the Hiawathas carried 110.7 passengers for every mile one of the Hiawathas traveled. Here’s the bottom line: The single daily train Empire Builder carried 88,300 fewer passengers than the combined seven daily Hiawathas, and generated $42,947,800 MORE in revenue, and generated 8,536,600 MORE revenue passenger miles than all of the combined Hiawathas. – This same story is true all over America, no matter what comparisons are used. 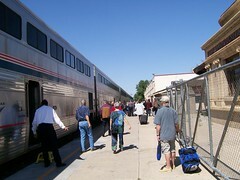 The long distance trains, consisting of the Silver Star, Silver Meteor, Cardinal, Empire Builder, Capitol Limited, California Zephyr, Southwest Chief, City of New Orleans, Texas Eagle, Sunset Limited, Coast Starlight, Lake Shore Limited, Palmetto, Crescent, and Auto Train are the really money makers and passenger haulers of Amtrak. – When you add up the performance of the regional services outside of the Northeast Corridor, including the Ethan Allen, Vermonter, Albany/Niagara Falls/Toronto, Downeaster, New Haven/Springfield, Keystone, Empire Service, Chicago/St. Louis, Hiawatha, Wolverine, Illini, Illinois Zephyr, Heartland Flyer, Pacific Surfliner, Cascade, Capitol, San Joaquin, Adirondack, Blue Water, Washington/Newport News, Hoosier State, Kansas City/St. Louis, Pennsylvanian, Pere Marquette, Carolinian, Piedmont, and Amtrak Thruway busses, all of these services, many state sponsored, generate $312,192,500 in revenue, based on 1,550,341,000 revenue passenger miles, and ridership of 11,993,200 souls. There is an average load factor of 40.1%, and revenue per passenger mile of 20.14 cents per mile, with an average of 112.8 passengers carried for each mile all of the trains travel. The long distance fleet generates $377,981,000 in revenue, based on 2,495,482,000 revenue passenger miles, and ridership of 3,818,900 souls. There is an average load factor of 56.8%, and revenue per passenger mile of 15.15 cents per mile, with an average of 170 passengers carried for each mile of all of the trains travel. That means, the long distance fleet generates $6,578,850 MORE in revenue than the short distance/corridor trains, and generate 945,141,000 MORE revenue passenger miles, carrying 8,174,300 FEWER passengers than the short distance/corridor trains. – The discussion becomes the same here as it is in war: body counts. The empirical evidence is the long distance fleet of few trains is much stronger in actual transportation output than the regional/short distance/corridor trains. In short, fewer trains, costing less to operate, and based on a lower income per passenger mile completely overcomes a much higher number of trains, costing more to operate, with a higher amount of income per passenger mile. Why is this concept so difficult for Amtrak to grasp, and for the news media to ask Amtrak, "why is your business plan so flawed, that it prefers expensive corridor trains over financially stronger long distance trains?" when the necessity for passenger rail is so prominent? – Is it more important to carry more people over shorter distances, or carry fewer people over longer distances? Here’s a better question: Should Amtrak do everything it can to become a stable, growing company, so it will be able to meet the many demands placed on its resources, or should it continue to be a crippled child of government, always waiting for the next financial handout from government? – Headlines in Illinois the last couple of weeks were rife with speculation the state government would not continue funding on some of Amtrak’s newest state routes, due to budget concerns. The usual hand-wringing stories were written, and this story was presented as high drama by the news media. In the end, a compromise was reached, and the trains will live to travel another budget year. This is exactly the sort of problem that is inherent on being a child of government, such as Amtrak is today. The "success" of the company is always at the whim of some bureaucrat numbers crunchers, whose only allegiance is to keeping their government jobs. There was a time, in the glory days of passenger railroading, when both concepts were achieved. How did this work? Passengers work just like freight. The long hauls are where the money is made, and the short hauls are done for customer convenience and as feeders, and paid for by the profits made by the long hauls. For every San Diegan (the predecessors to today’s Pacific Surfliners) operated by the Santa Fe between Los Angeles and San Diego, there was also a Super Chief, San Francisco Chief, The Grand Canyon, El Capitan, Tulsan, Chicagoan, The Oil Flyer, and Kansas City Chief. This held true all over America. For every milk run, local train, or mail train, there were streamliners like the Orange Blossom Special, Silver Meteor, Florida Special, City of Los Angeles, North Coast Limited, Twentieth Century Limited, Broadway Limited, and many, many more. – The Eisenhower Interstate System of highways and the sucker punch of the Boeing 707 jet airliner were too much for the railroads of their day in the 1950s and 1960s. The railroads were not glamorous, or fast enough for a society hooked on speed and the race for space and rockets to the moon. But, now, the tables have turned, and passenger rail is once again viable. It’s just that America’s sole provider of passenger rail isn’t viable. It’s stuck with a corporate mindset and junk science business plan that dooms it to financial ruin and the inability to serve Americans who want passenger train service. – Amtrak’s business plan, if put together by rational human beings, should consist of three layers. The first is a healthy and growing system of long distance trains IN PARTNERSHIP with the host freight railroads. Everyone acknowledges there is a rail capacity problem in this country as more and more freight is leaving expensive highways and jumping on freight trains. If you believe the Association of American Railroads, of which (even though you would never know it) Amtrak is a full dues-paying member, there isn’t a single mile of railroad in this country which could accommodate additional passenger trains. The translation of that is Amtrak is such a low-paying customer that demands so much attention, it’s difficult for the host freight railroads to accommodate Amtrak trains (Even though by mutual agreement at the beginning of Amtrak the railroads agreed to a federal law being created which REQUIRES freight railroads to give full access to their rails to Amtrak. ), so, therefore some type of better agreement needs to be reached between Amtrak and the host freight railroads. The second layer is a robust system of corridor trains, much like today’s arrangements, but with a different set of criteria. No two state contracts are alike, and Amtrak is getting as much money as possible from each state, with no standardization of costs and contracts. Short and regional corridor trains can be healthy feeders into a long distance system, and they can help share station, reservations, and infrastructure costs. However, the emphasis must be placed on connectivity and hubbing with long distance trains, and services must complement each other for maximum passenger flow and utilization. The third layer is providing coordination of commuter services with various local and state operators and competitors. Today, Amtrak still operates some commuter services (such as the Virginia Railway Express) under contract, providing train and engine crews, equipment maintenance in some cases, and other services. Allegedly, these services are provided at a profit because they are purely services for sale to other entities, but one can’t help but wonder what the real return on investment is when providing these services. In other words, does capital Amtrak uses to prop up these services have as high of a rate of return as capital used elsewhere in the company?